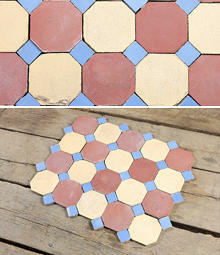 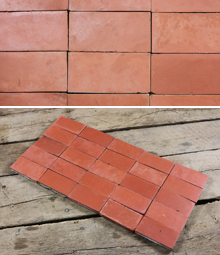 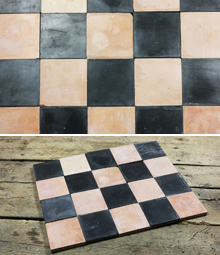 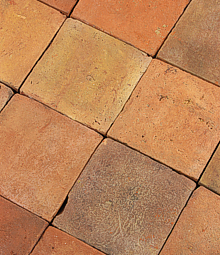 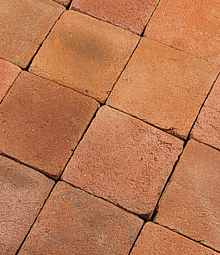 Handmade terracotta tiles have been made from red and brown clays for centuries. 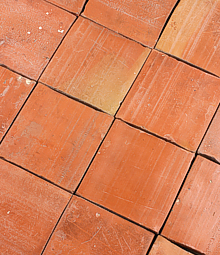 The name terracotta means burnt earth and refers to the making process of shaping and firing the clay to make it hard and durable. 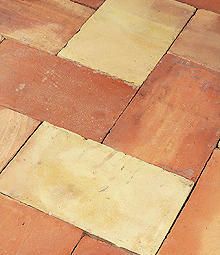 The tiles can then be glazed to seal it from staining. 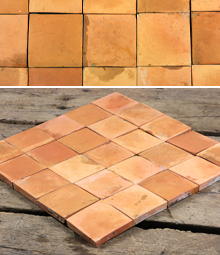 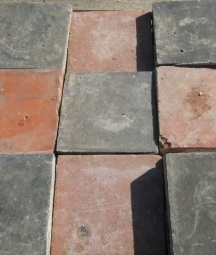 As the tiles are porous and it regularly freezes in the UK (therefore any water present in the tiles would expand and crack the tiles) terracotta is only suitable for indoor use. 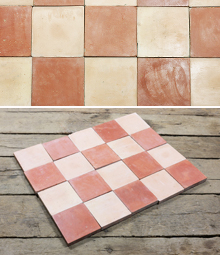 The lovely warm, earthy red and orange tones give a rustic feel which, along with its practicality and durability, are great reasons to lay a beautiful reclaimed terracotta floor in your home, restaurant or pub. 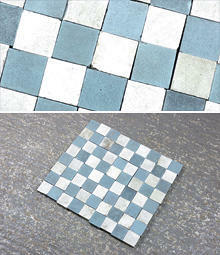 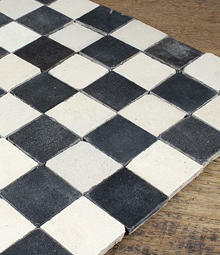 The name ‘quarry’ tile is misleading; these tiles aren’t actually from a quarry! 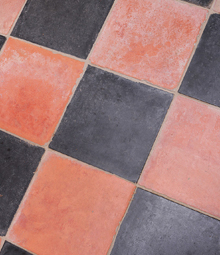 Antique quarry tiles are made from natural materials such as clays, shales and feldspar, in a process similar to brick making. 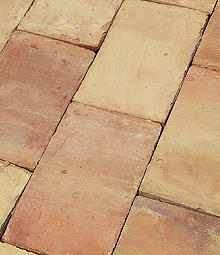 These tiles are very hard, durable and are usually less porous than terracotta tiles.